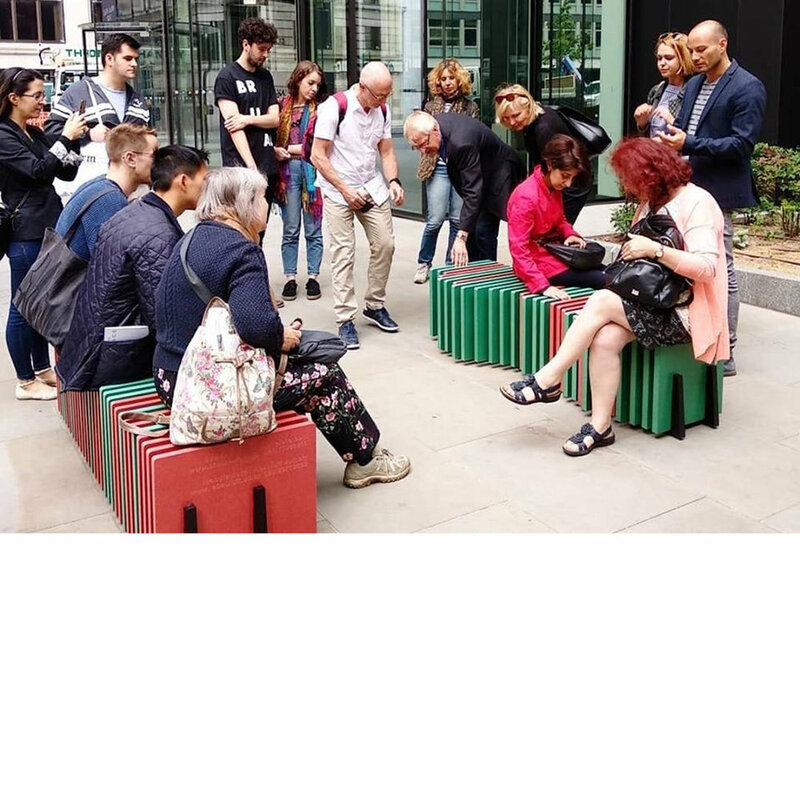 Our winning entry for the city benches competition, launched by the London Festival of Architecture involves a temporary installation of benches in the City of London. The City of London is the financial heart of Britain, one of the major finance hubs on the globe and home of the London Stock Exchange. Drawing inspiration from the graphic language of stock charts, the design refers to undulating graphs of green and red bars representing profit and loss. 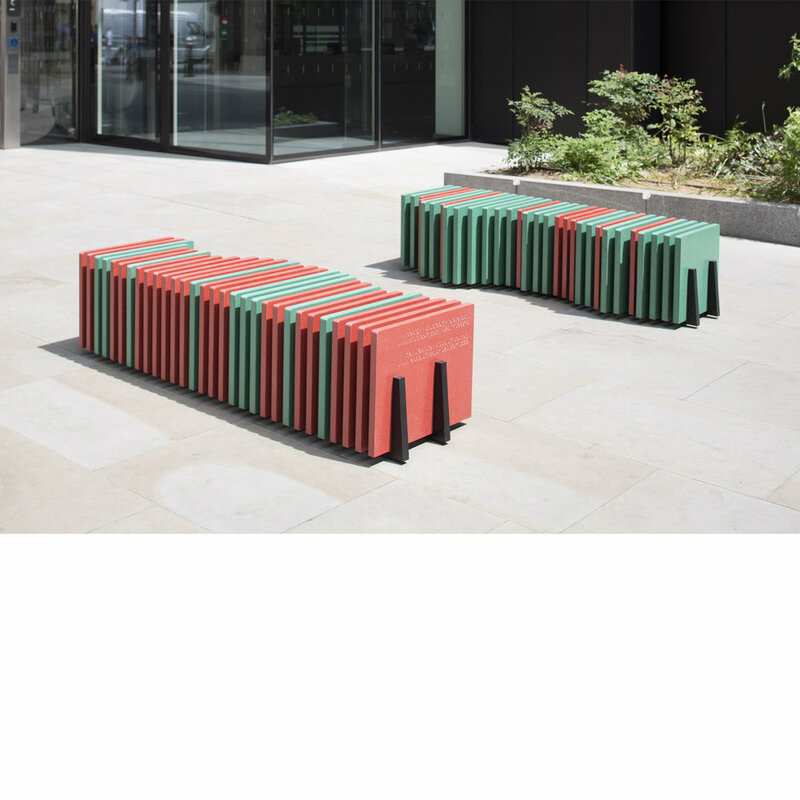 The two benches complement each other in a yin&yang like relationship: green becomes red, profit turns into loss. The simple, one-dimensional chart becomes interpretable, depending on the view point. In order to minimise the construction time, each element was CNC-cut with fixing slots. 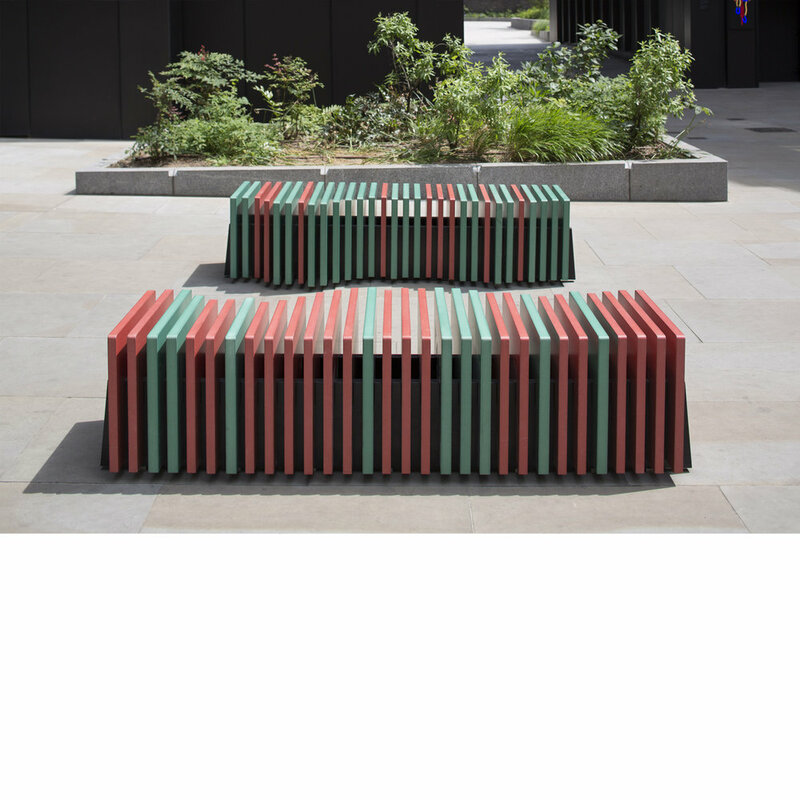 Each through-coloured MDF panel was then slotted into two plywood base-rails without the use of any additional fixings. 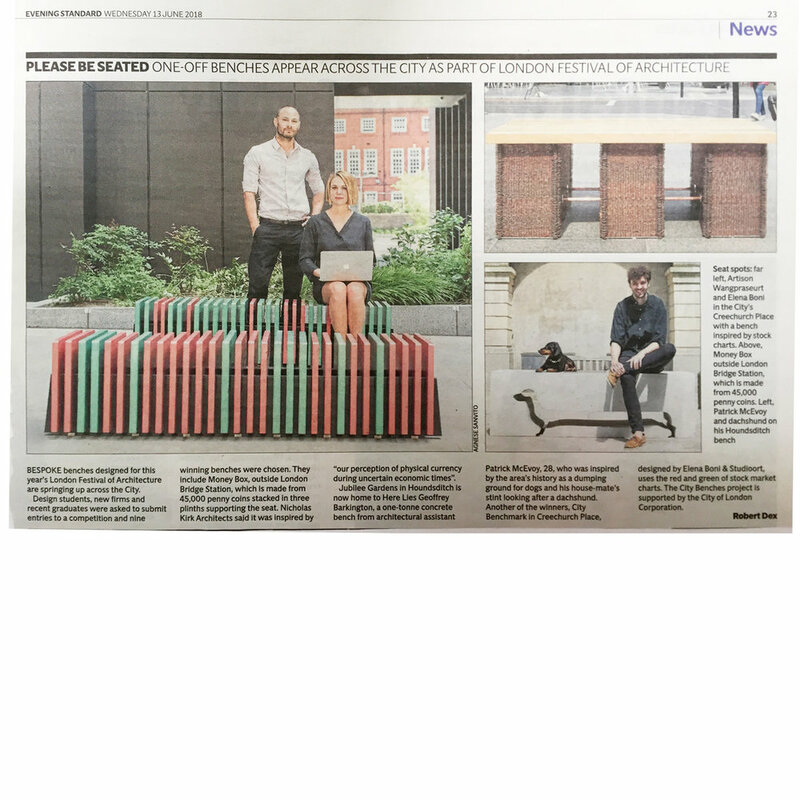 'City benchmark' has been widely covered in the press along with 8 other benches.